A pair of beautiful crisp white 100% cotton Napkins, great for a personalised Engagement or Wedding Gift, or an Anniversary present. 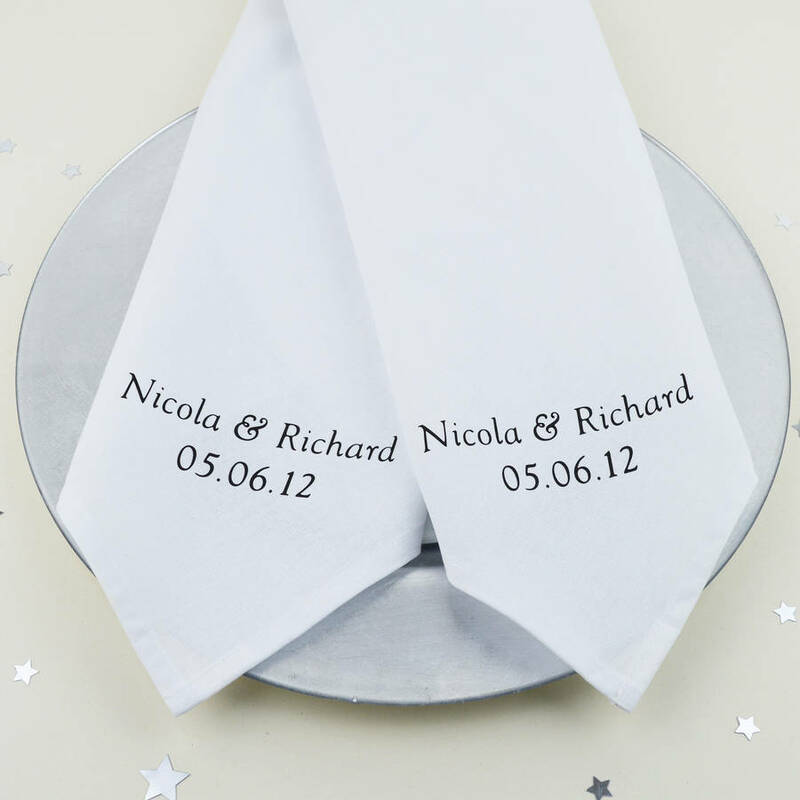 Being Cotton these are perfect for a 2nd Wedding Anniversary gift, these are beautiful crisp white 100% cotton table napkins that will go with anyone's dining room colour scheme! These napkins make the perfect gift for any occasion, Birthdays, Valentines, Christmas, Weddings, Anniversaries, Easter, Mother's Day, Father's Day, or if you just want to treat a special family member or friend! These napkins will enhance any wedding decor, use them afterwards at home, it can become a wonderful reminder and keepsake, of your big day! Can be customised with any initial's or names, should you prefer, at no extra cost. Should you wish to have an alternative colour text other than the Black, please do get in touch with us and we will do our best to obtain this for you. High quality white cotton napkins, machine washable.